Most Teenagers are financially illiterate because of lack of guidance from parents and parents don't know how to teach their kids this complex subject. Financially literacy is a serious social problem in the United states especially true in case of literacy about credit card and the statistic below proves it. statistic revisited in the design process section later in the project. Parents already have a trust relationship with their children and most parents practice financial literacy in their daily lives. Leverage these points to create a guided tool for parents to help their kids practice financial literacy and let teenagers get hands-on-practice early on practice to understand complex terms. A service that uses a mobile application to simulate the real credit card system by letting teenagers borrow money from parents and paying them back by doing chores. They sit with their parents to discuss how they can pay back the money and set it as task on the app. PNC Bank identified teenagers as a remunerative population. They approached CMU to help create a financial literacy service to tap them as the future potential customers. During the investigation, we across a paper by John Zimmerman's paper titled "Teens, Parents and Financial literacy". Shown below is one of the most startling finds that came from it. It was this fact that set the foundation for Wilbur. The problem at starts with "what is credit? ", i.e teenagers not understanding how the entire credit card system works. The cycle goes on and on and causes a rapidly increasing credit card debt. Teach about credit card system to teenagers by using parents as the means of communication. WHY PARENTS as means of knowledge? Through our interviews we started seeing patterns in the parent and their children's relations. Parents practice financial transactions everyday and have basic literacy to teach their children and also relevant to their social economic background. These 2 factors make them the perfect candidate for helping transfer relevant knowledge to their children. All the parents also really wants to spend quality time with their children. 1. Parents don’t know how/ WHAT to teach teenagers about finances. 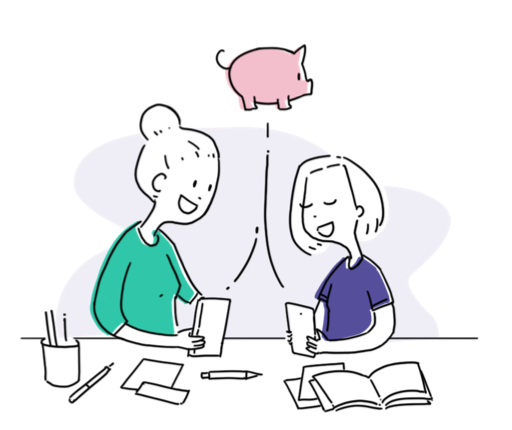 Wilbur uses a structured learn-by-doing model so that the teenager can buy and pay back while becoming more responsible with the spending with each cycle because of the use of credit score and using simple metaphors to teach the concepts. 2. Parents want to find quality reasons to talk to their teenagers. Parents and teens are required to collaborate and come together to decide on things like how much amount can be borrowed and what tasks need to be done. Teenagers have rebellious tendencies and hence when the app detects that they are overspending, it send their parents tips on how to talk to their teenagers about this. Teenagers don’t have constant income. The app uses virtual currency and paying back in chores because teenagers don't have a constant flow of income to use this application with real money. Teenagers want to constantly buy things. Using this natural tendency to leverage healthy behavior. If teenagers want to unlock deals with their favorite products, they will have to spend wisely and increase their credit scores in order to reach them. A good service always creates value for all the stakeholders in the service. 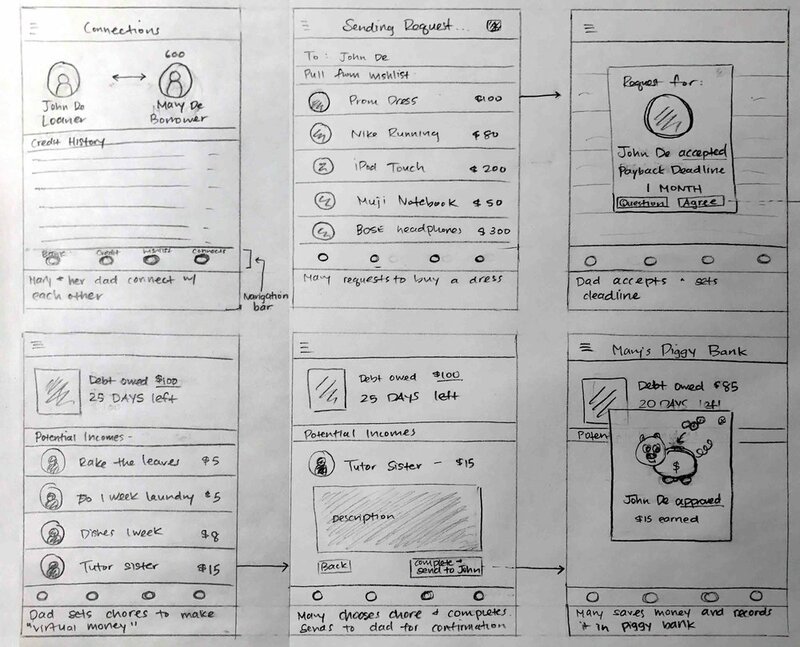 Service design means being able to thing of not just the product but the on boarding and more importantly a successful transition at the end of the service.